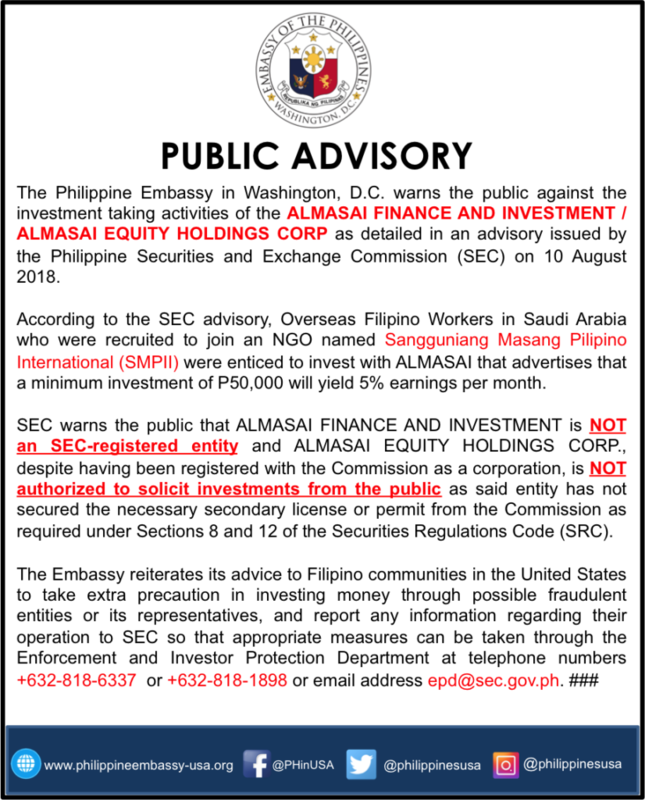 The Philippine Embassy in Washington, D.C. warns the public against the investment taking activities of the ALMASAI FINANCE AND INVESTMEN / ALMASAI EQUITY HOLDINGS CORP as detailed in an advisory issued by the Philippine Securities and Exchange Commission (SEC) on 10 August 2018. 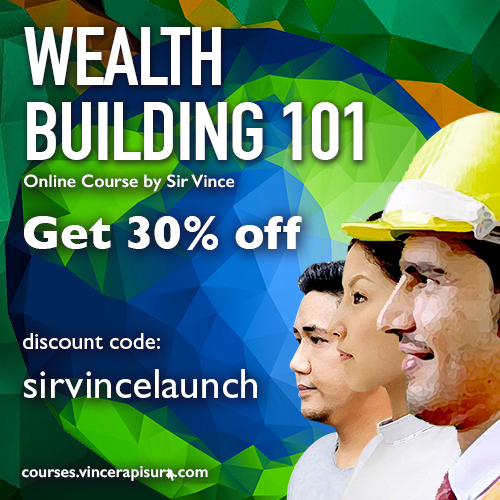 According to the SEC Advisory, Overseas Filipino Workers in Saudi Arabia who were recruited to join the NGO named Sangguniang Masang Pilipino International (SMPII) were enticed to invest with ALMASAI that advertises that a minimum investment of P50, 000 will yield 5% earnings per month. SEC warns the public that ALMASAI FINANCE AND INVESTMENT is NOT an SEC-registered entity and ALMASAI EQUITY HOLDINGS CORP., despite having been registered with the Commission as a corporation, is NOT authorized to solicit investments from the public as said entity has not secured the necessary secondary license or permit from the Commission as required under Sections 8 and 12 of the Securities Regulations Code (SRC).